A catastrophic fire has engulfed the upper reaches of Paris’ soaring yet iconic Notre Dame Cathedral as it underwent a multi-million dollar renovations Monday. 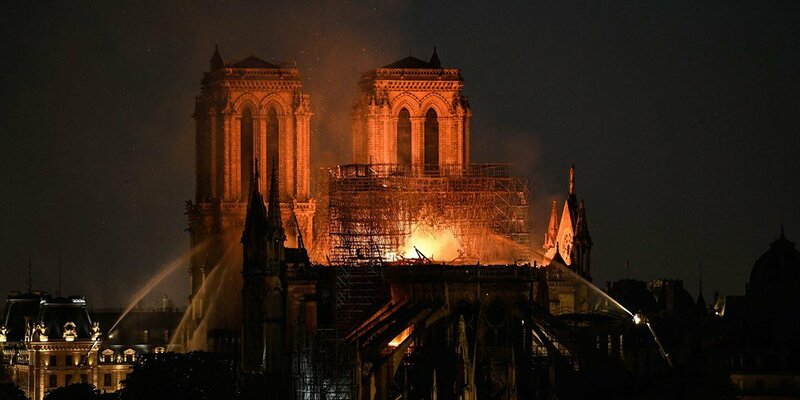 The inferno threatens one of the greatest architectural treasures(800Years old) of the Western world as tourists and Parisians looked on aghast from the streets below. The blaze collapsed the cathedral’s spire and spread to one of its landmark rectangular towers, but the city’s mayor later said firefighters were optimistic they could salvage the main towers from the flames. The fire came less than a week before Easter amid Holy Week commemorations. As the cathedral continued to burn, Parisians gathered to pray and sing hymns outside the church of Saint Julien Les Pauvres across the river from Notre Dame, as the flames lit the sky behind them.